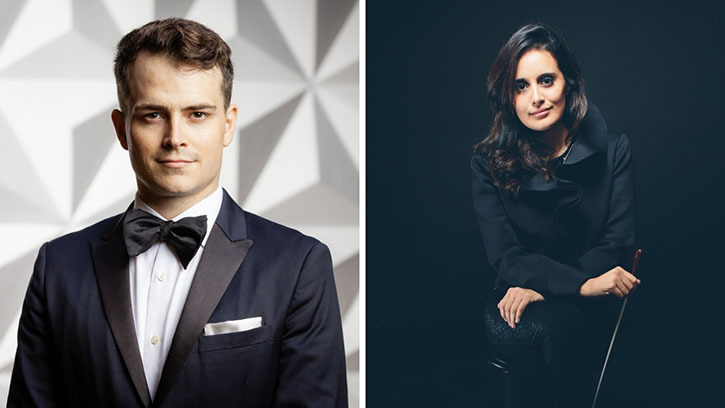 Today the Seattle Symphony and Music Director Designate Thomas Dausgaard announced the appointments of Lee Mills as the Douglas F. King Associate Conductor and Lina Gonzalez-Granados as Conducting Fellow, beginning September 2019. Their roles are part of a training and mentoring program at the Seattle Symphony that helps shape future music directors. A winner of the Solti Foundation U.S. Career Assistance Award in both 2014 and 2017, Lee Mills is currently the Resident Conductor of the Brazilian Symphony Orchestra. As the Seattle Symphony’s new Associate Conductor, Mills will conduct a wide range of Seattle Symphony concerts throughout the 2019–2020 season, including Holiday programs and Family and Community Concerts. In addition to his performances, Mills will serve as cover conductor for the Music Director and guest conductors for a majority of the 2019–2020 season. The cover conductor is someone who is ready at all times to step in to lead a concert in the event that the scheduled conductor is unable to conduct. Lina Gonzalez-Granados joins the Seattle Symphony as Conducting Fellow following appointments with the Chicago Symphony Orchestra at Ravinia Festival and Nashville Symphony. Gonzalez-Granados’ responsibilities will focus on the Seattle Symphony Education and Community Engagement concerts, conducting several education concerts in the 2019–2020 season. Gonzalez-Granados will also serve as cover conductor on four Delta Air Lines Masterworks Season and Baroque & Wine series concerts. Strong advocates of the music of Latin American composers, Mills and Gonzalez-Granados will together lead a concert featuring contemporary Latin American voices on the Seattle Symphony’s [untitled] series in the 2019–2020 season. Details will be announced in late February. Through the caring support of our donor family, the Seattle Symphony is able to attract and retain world-class artists. Join the community of supporters who make our music possible with your donation today!